Treesaver is a new open source web platform for publishing that uses the new HTML5 standard to create narrative experiences—with text, pictures and video. Treesaver divides content into pages, automatically adjusting to the size of any screen. With Treesaver you can create content once and publish it everywhere. It works on any device that has a web browser. The same design and the same code works on PCs, Macs and Linux desktop computers or Apple, Android, and Blackberry smart phones and tablets like iPad or Samsung Galaxy Tab. While many organizations are running to develop iPhone and Android apps, with a Treesaver dynamic publication, you skip the hassle and cost of making separate apps for every target device. Treesaver is significant for nonprofits because it combines important trends – open source software, web standards and mobile applications. While Treesaver has been designed for media publishers by magazine design guru Roger Black, we at See3 believe it has real significance for nonprofits. 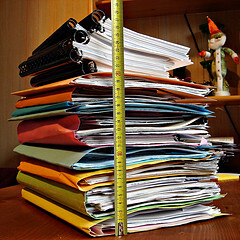 Many nonprofit organizations produce reports. These reports could be annual reports that sum up their work during the year or reports about subjects where the organization has expertise. The report is often an important piece of research designed to show leadership on an issue and attract the attention of the press and governments to affect social change. how payday lenders have increased payments to lobbyists. Feeding America has a national hunger study. Amnesty International has a report about housing and water rights for the Roma community in Slovenia, among dozens of others. The Alliance for Biking and Walking has a benchmark report about the levels of biking and walking in the US. These reports, and others like them, represent a critical part of the work of social change organizations, think tanks and foundations. found on websites in the form of a PDF. You can’t link to a specific page inside the document – if you want to share one page on Facebook the best you can do is link to the whole document, and when your friend clicks and realizes it’s a 30 page PDF they hate you. Nonprofit Tech Person: “OK, but you know it will cost around $30,000 to build an app for the iPhone. that no one is paying attention. because it’s open source, there are no license fees, just the work on design and content. have become very popular with nonprofits. It’s a significant event and you should pay attention. This is really interesting and I was blown away by how beautiful the Egypt story (report?) is. If one creates such a “document” (for want of a better word), is there a way to download it? Treesaver is free and open source, in the same way Drupal or WordPress are. This means the framework is free, but any design you want to do will cost you with design and development time. There are no license fees for the core software but like a Drupal website you will want to make it look like your own. Right now, Treesaver is in early development stages. We are looking into different kinds of add-ons and features and download could easily be one of them if this was a client requirement. Thanks, Michael. It might be worth looking into – could be a way for Treesaver to be an alternative to downloadable ebooks, and so on. What do you suggest instead of a pdf then? We suggest Treesaver for making print reports into readable online experiences that can be delivered beautifully to an iPad, Android phone or any device. Most people don’t want to print your report, and most people glance at and then toss the printed reports they get. Great post – couldn’t agree more – the pdf annual report is dead. There are so many better ways of sharing annual reports that are interactive and integrated with other communications tools. I recently helped a client use Issuu.com to digitize their annual report as well as create a digital library for their publication archives. It’s a great system and well worth the small investment. Will check out Treesaver. Hope it helps some others out! Michael, how does Treesaver line up against Scribd? Scribd is like SlideShare for documents, Treesaver is part of your website that you control and design, etc. more like Drupal or WordPress for narratives. I saw the See3 session at the Nonprofit Technology Conference in DC last week. Was very impressed with the quality of the result of Treesaver. I’ve been thinking about how to use it at Great Books. Hmm… It’s still early stages I’m sure, and the chrome version displays beautifully. However, on my large desktop monitor PDF’s still sing just fine. 3. text on the cover was too small to read. 4. the company logos on page 3 didn’t show on the iphone. I will say the text on page 3 auto-sized beautifully and was a delight to read. But I gave up after that. A lot of promise, look forward to seeing a hosted version, for sure. For sure it will be improving in image handling. The advantages to this are much more significant than could be explained in this post. A critical point is that you can’t control whether your readers will have a nice big monitor or not. And i think the advantages will make more sense. The times they are a changin’. As media options expand, that conversation is going to get more complicated and it will be even more important for funders to acknowledge that consultants who know the ever-changing field are a legitimate expense. Boo!!! Print out the Annual Report. It will stand out in the mailbox and your user base/donor base loves to hold things and see their names in print!!! I agree that sometimes printing out names of donors makes sense. Like at a gala dinner! But you can achieve that often without the huge expense of glossy larger reports. Amazon is now selling more e-books than books! The times are changing, and we will see less and less print and less justification for the print expense. What is the cost comparison of using and installing Treesaver as opposed to printing annual reports of hiring a designer to design content is still a necessity? Using Google Chrome and all I see is Loading in upper left corner and nothing else. Had it open for the past 5 min. ???????? An even simpler solution. You don’t need an iPad app. Or a fancy tech solution. Link to different parts of your annual report on your website. Have your ED letter be one pdf. Have your Financials be another. Have your stories be a third. Have your donor list be a fourth. Link it in your e-newsletter and on your site and people will not have to try to wait for a big pdf to download, OR wade through a mass of information to find what they want. You could save money by sending your annual report in printed form to your donors who give over $100 or some arbitrary amount per year. Or do a quick survey of donors and ask them if they’d like to receive a printed copy of your annual report, or if they’d prefer to look at it online. Treesaver is Free and Open Source, so it costs nothing to download. To install and design takes some tech skills, which some places might have in house. That said, to fully design and implement one it might cost up to $10,000 or more. Unlike the print report, however, this template can be reused for many reports in the future. Mazarine – I think you offer really good suggestions, but I don’t believe that long-term PDFs are a good solution at all. Eventually, people will be reading these things on their tablets, their laptops and phones and you will want to give those people a good reading experience in each place, without having to create versions for each one. Thanks Michael for a great post about a wonderful new way to produce online publications. After reading your post, I decided to make my April 2011 video clip of the month about Treesaver (see http://t.co/muKy97h). Of course, I quoted your excellent list of reasons why PDFs are terrible. FYI, I also noted PDFs are not accessible, at least without a lot of extra work tagging and bookmarking (if you’ve ever made a PDF accessible for a federal government agency you know what I mean). Being able to serve all audiences, including the disabled, is another important reason why you’d want to try Treesaver. Yikes! Here’s that link again: http://t.co/muKy97h without a parentheses attached to it!! !